There’s a great deal of misinformation about dads, and – ironically – it starts with the very groups and organizations who purport to uphold fatherhood. While we appreciate the efforts of fatherhood organizations like the National Fatherhood Initiative (NFI) and National Center for Fathering (NCF), we question the level of father absence that they claim exists in America, as well as campaign strategies from similar fatherhood organizations who continue to highlight father absence as a growing problem in America. In the 1990s, the NFI and NCF established campaigns to build society-wide movements to reverse father absence, initiated by a growing body of social science research that showed there were record numbers of American children living in father-absent homes. Three decades and hundreds of millions of dollars later, both organizations proclaim that father absence has reached “epidemic” and “crisis” proportions. In fact, the following statements are posted on their websites. 1. Is there a clear definition of father absence? 2. Do you know if anyone has conducted research on what causes father absence? Although we’re grateful for their prompt reply, we’re also very frustrated that they never answered the questions. Instead, we received two links to reports with the same old song and dance about father absence. Much of it was stereotypical, based on attitudes and tradition from yesteryear, similar in vein to the slanted and subjective messages that continue to describe a dad’s parental inadequacy and how he’s lacking in paternal deeds – and how there is a connection between father absence and an increase in social problems in America. We reviewed both reports and found no definition of father absence, nor research on its causes. We also conducted our own investigation and could not find answers to our questions. Sadly, most people mistakenly assume only a dad causes father absence when the truth is that there are many other origins. Physical absence also doesn’t necessarily mean a dad is emotionally absent. And who should have the power to decide if a dad or mom is emotionally absent? The reports also raised questions with respect to gender equality. For example, the report reveals that more moms are in the workforce and that the divorce rate is up. Could we consider a mom who chooses a career over staying home as an absent parent? Could we consider a mom who does not have full custody after a divorce as an absent parent? Could we consider a mom who is in prison as an absent parent? The report also admits that mothers are more overprotective than fathers, which many mental health experts define as maternal gatekeeping. Maternal gatekeeping can sometimes become an intimidating force. Even fathers who desire to be active and involved with their kids often drift away in the face of persistent maternal advice. Usually the way a dad parents is viewed as being wrong, when in truth, it’s simply different – each parent, regardless of gender, brings value to their children. As such, more questions abound. Where is the study on how maternal gate keeping prevents a father’s involvement or how it negatively affects children and causes social ills? Where is the study on mother absence? If one has not been conducted, why not? And if there is, did the researchers use the same rules and criteria as father absence? Did they spend the same amount of time analyzing mother absence? One might also logically ask, where are these national organizations’ counterparts? Every parent can become better versions of him or herself, yet we do not see a National Responsible Motherhood Clearinghouse and slogan like “Take time to be a mom today.” What message does this send to dads toward being respected as equal, competent parents? It strikes us as odd that these academic experts are held in high regard, yet create their own rules/definitions – or in the father absence case, yield no definitions or common sense upon which to conduct their research. What we find even more frustrating about one of the reports is how it was conducted by telephone as stated on page 8 of “Parenting In America.” If researchers are directing a report of this much social and cultural significance, could it not have been done by observing and questioning actual parents in their respective communities? Yes, it would require more work. However, it also might divulge some truths about fatherhood the public doesn’t want to hear, such as: fathers are every bit equal, are more active and involved, and are just as competent parents as moms – even in the primary caregiver role. The latter is a fact supported by the increased population of dads who choose to be the primary caregiver for their families. Unlike the NFI, NCF and other fatherhood organizations who continue to play the father absence card, we are more optimistic about the state of fatherhood. We wholeheartedly believe there are far more good people than bad people in this world. Therefore, we also believe the responsible, active dads far outnumber the irresponsible, absent dads. And we believe this to also be true with moms! To prove our claim that the responsible, active dads far outnumber the irresponsible, absent dads, we propose a new “Fatherhood is Alive and Well” campaign. This endeavor shares real facts on how much growth has occurred with the active role dads have played as parents in the last three decades. Our proposal is not just for dads, but moms too. Why? Because when business and organizations devalue a dad’s role as a parent, it also insults a mom – that’s the husband she chose to marry and serve as the father of their children. It is time to stop the dad bashing and gender war in the parenting community. 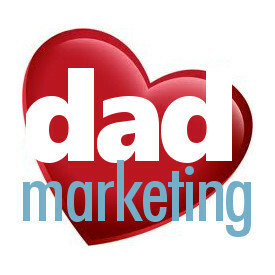 Let’s focus on finding ways to encourage dads and moms to create and model a loving parenting community for the kids! It would be pretty easy for the marketing team at Cord Blood Registry to feature only a mom in its latest magazine ad. Dads can do anything for a child that a mom can do, except give birth and naturally breastfeed. So, yes indeed, that umbilical cord is unmistakably a mom-child connection. However, marketers often like to turn that precious link into some sort of divide, and use it as validation to justify its belief that moms have a stronger bond with children which dads can never match. We’re here to tell you that moms and dads are equals. The parent-child bond isn’t meant to be something that moms dominate, or hold deeper. Mothers enjoy the absolute honored gift of carrying children – and that’s special. It creates a bond with every child that doesn’t make it more superior than with a father, just unique. Dads and moms are different people, and can parent different, but dads are full, rightful owners of the parental bond every bit as moms. That’s a wonderful thing! 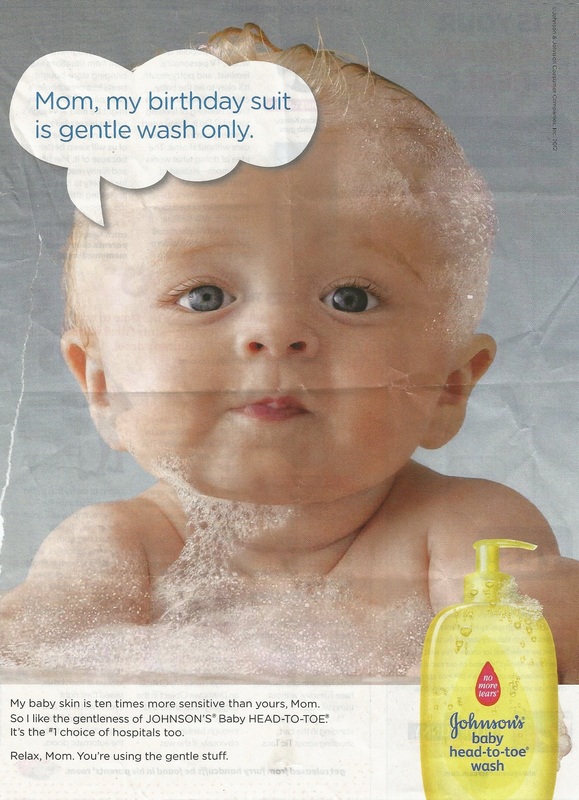 CBR says that too, and it even references the umbilical cord, in its latest powerful ad. 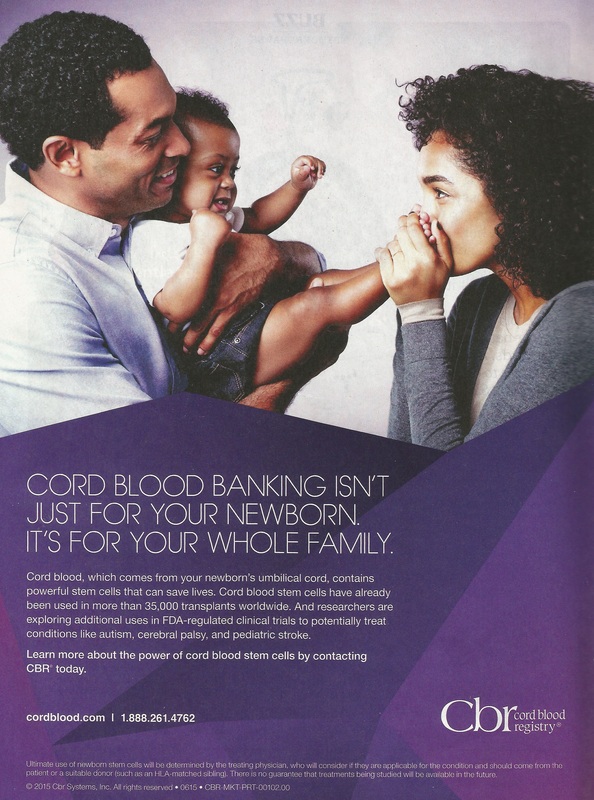 Something as important as cord blood banking deserves marketing treatment without any missteps or miscues, and CBR delivers the goods in pictures and words. The rest of America would do well to learn from CBR’s fabulous marketing team, who confirms that parenting involves both moms and dads equally. 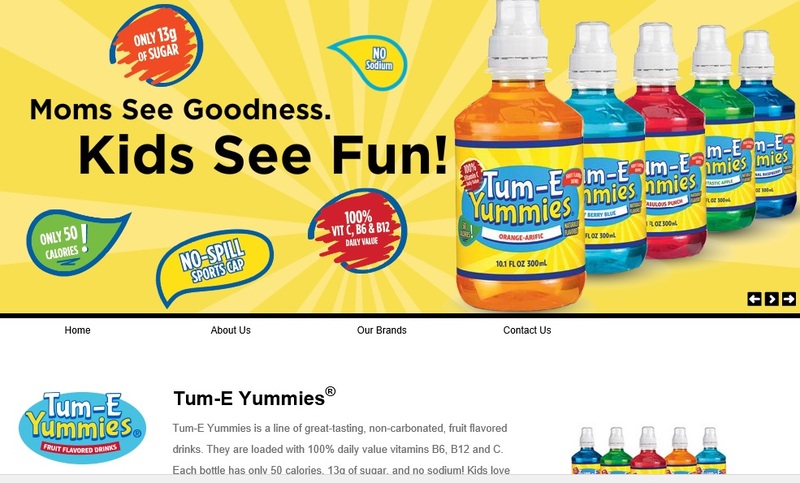 According to the Tum-E Yummies, “moms see goodness” and “kids see fun,” but you know what dadmarketing sees? Complete senseless and meaningless dad exclusion. The image pictured is a screen shot from the webpage of BYB Brands, a company that hasn’t quite figured itself out yet, nor its product. Or, perhaps it hasn’t really proofread its own work. In either case, it doesn’t excuse this stereotypical, stuck-in-the-past marketing disarray. Take a look at their slogan: Create and sell brands people want! How can this be? Their web copy doesn’t even back it up, for BYB isn’t marketing their brands to people – only mothers. Over and over on the BYB website, and at the Tum-E Yummies website, they merely address moms, not even giving dads the time of day. There’s also a trite For Parents section, a true anomaly that could only be fashioned by a marketing department at odds with its own self. Here again, this predictable segment solely speaks to moms, a divide they created themselves by neglecting dads everywhere. Part of their copy includes the oddities, “A mom-approved escape from the routine,” and “It’s not everyday you get to be a good mom and a fun mom,” and “Fun hydration moms and kids can agree on” – quirks by way of featuring boys on the site, future men that will be completely disregarded upon fatherhood by the very company whose drinks they enjoy. That’s some business plan for future success, huh? 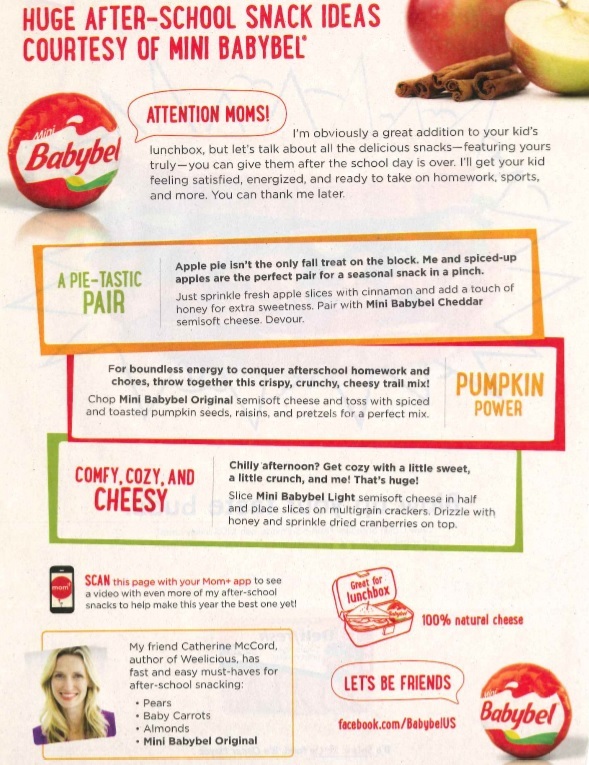 BYB apparently holds dear to the timeworn marketing impulse that moms still handle the kids, cook the meals, provide the snacks, and dads basically don’t shop. Fortunately, poor execution (and websites) can be corrected easily. Is BYB and Tum-E up to the task?